An undisclosed amount of asbestos was recently brought into Kingston Foreshore by a Land Development Agency contracter. The area is said to be currently undergoing preparations for mixed use land development. Kingston residents have expressed concern and curiosity over WorkCover’s closing of the site earlier this month. Allegedly, for over two years, the work at the site involved extensive earthworks and dust problems prior to the closing of the area without an adequate explanation. A 2.68 ha site is vacant and still remains a potential mixed-use and urban, area. The site is located north of Eyre Street and west of the Causeway. The agency has reported that early surveys discovered asbestos in the area. In addition to the surveys, a contractor has also reportedly brought in fill material with traces of asbestos in order to detect how much asbestos was present. Early testing indicated that the trace amounts of asbestos are a result of building demolition waste.Environmental compliance officers for the Agency have detected the asbestos and subsequently enacted environmental control procedures. The site was officially closed on December 13 by Worksafe but then the order was lifted on December 15 after the Environmental Management Plan and Occupational Health and Safety Plan were reviewed. Civil works have recommenced at the site and the construction of roads are expected to be completed by March 2012 according to the program.The source of asbestos has yet to be specified by the agency. Opposition Leader Zed Seselja stated that this is one of several recent cases of asbestos contamination being discovered at proposed work sites. 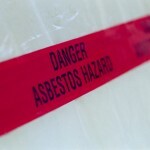 More information on Asbestos Training.